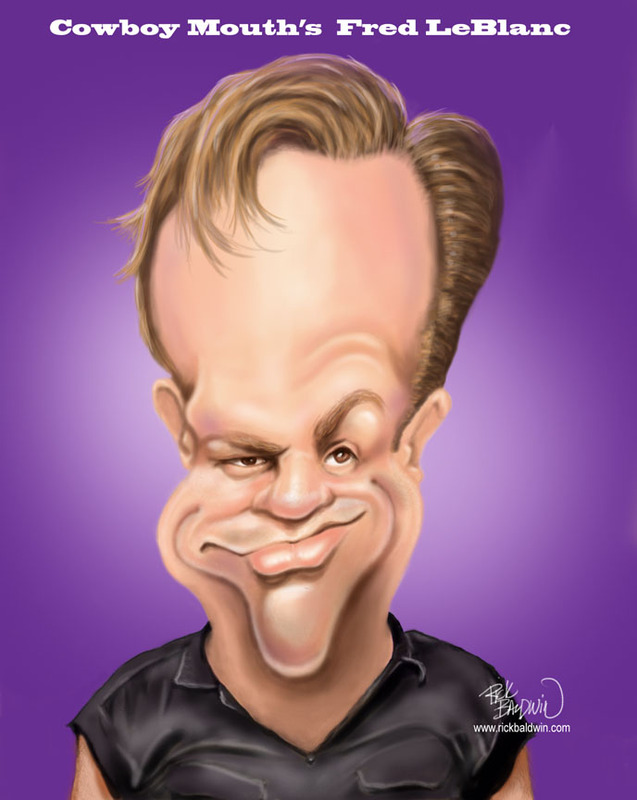 It’s Jazz Fest in New Orleans and what better way to recognize it than with a caricature of a guy from my favorite New Orleans’ band Cowboy Mouth, Mr. Fred LeBlanc. I did several sketches of Fred in preparation for this caricature so I may eventually post another caricature in a totally different style. In the meantime you can enjoy this one and celebrate the fact that it’s great to be alive! Are you with me? ?